The most important thing you can do for any vehicle, is to get the oil changed regularly. Depending on what type of oil your vehicle requires, that can mean every 3,000 – 10,000 miles, so make sure to find out the type of oil, and your recommended mileage. If you go to long, your oil is going to get dirty, then thick, and then it will cause damage to your engine, which is never an inexpensive repair. Here at Long’s Car Care Center, we do a full digital inspection of your vehicle every time it is here for service. This way we can send you pictures of any issues, and keep you on time for any other needed maintenance issues. We also send you text and email reminders, of when you are due for service. 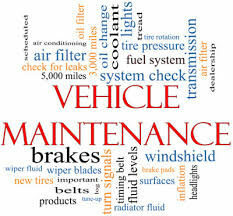 Our goal is to keep all of your vehicles running for a very long time! !